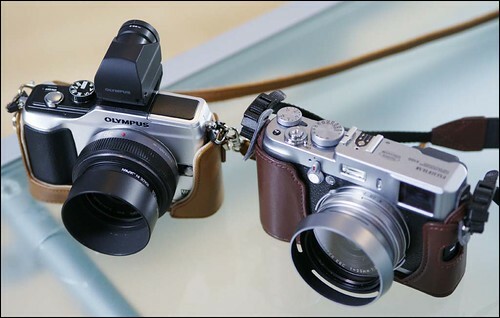 Here's a comparison between images shot with the Fuji X100 and the Panasonic 20mm f/1.7. As before click through to flickr for larger files. These are a lot closer in terms of sharpness than with the Zeiss 18mm. Showing just how good a lens the 20mm f/1.7 is. These are out of camera jpgs with no adjustment whatsoever. The Fuji is on its Velvia setting and the Olympus is set to Vivid. 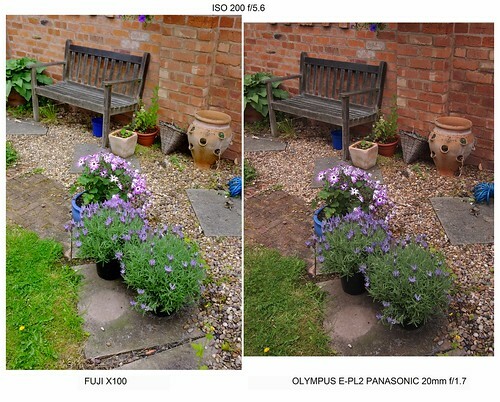 There is still a different look to the images and the Fuji seems smoother and cleaner to me but there's so little in it as to be relatively insignificant. I also prefer the Velvia colour but thats personal choice. So does this mean that the the 20mm lens is better than a Zeiss 18mm costing 4 times as much? Well the answer is probably yes for m4/3 cameras. If I had shot at higher ISO's then the Fuji would have produced better files but at base ISO there's very little in it. I'm not giving up m4/3 and in particular the 20mm lens any time soon. Its still an excellent system for what I use it for and interchangeable lenses is obviously a terrific advantage. 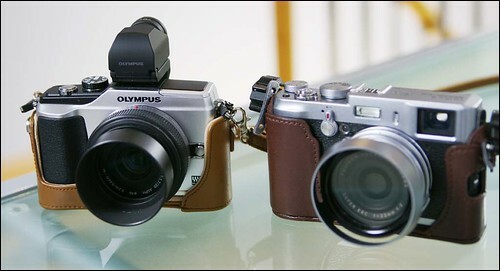 Fuji X100 review at Dpreview.